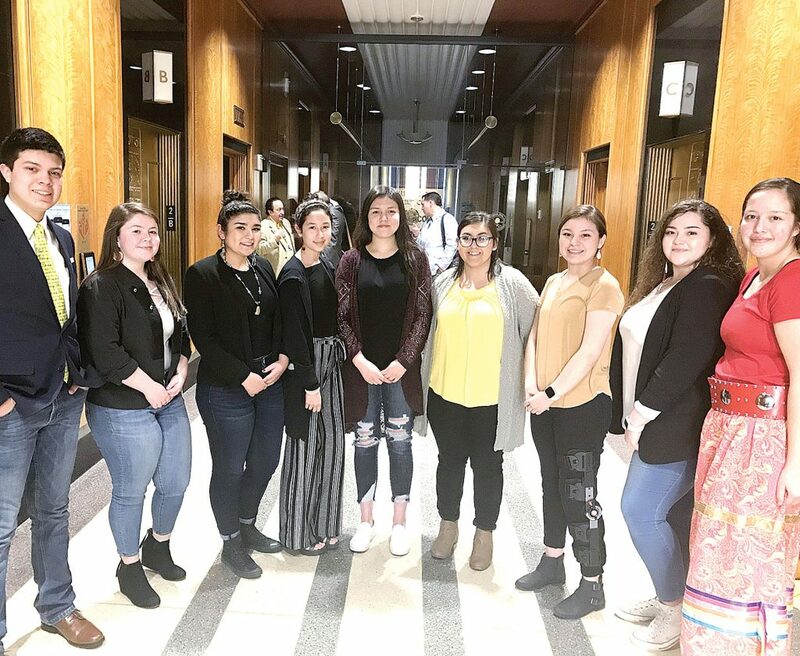 Photo by Diane Newberry, NDNA Members of the Belcourt Community High School Student Council testified last month at the Legislature in favor of a bill that would bar felons from serving on school boards. They are, from left to right, Tucker Bercier, Jeryn Marcellais, Aiyana Jollie-Trottier, Beyonce Marcellais, Jerzey Parisien, Robin Poitra, Erin Keplin, Nevaeh Davis and Marchetta Bercier. Jones’ comment came last week during a hearing on SB 2230, which would prohibit Class A felons from sitting on school boards. The bill is at the center of debate about when the state should step in if political subdivisions are not running smoothly, or whether it is appropriate to pass wide-sweeping bills to address local problems.